TJ advises airports across the country on airline use and lease agreements, fuel system agreements, rate and charges, rates by ordinance and DOT “rocket docket” litigation. TJ also advises airports on a variety of federal aviation compliance matters, including “revenue diversion” and AIP grant assurance compliance. He has led numerous airport investigations of and responses to compliance audits by the FAA and OIG of the Departments of Transportation and Homeland Security. TJ also represents clients on environmental issues, including the permitting of transmission lines and other complex energy infrastructure projects, design and implementation of complex hazardous waste clean up projects and federal and state regulatory compliance. 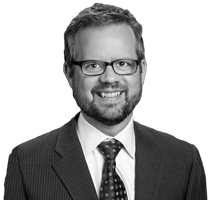 In addition, TJ has over a decade of consulting experience advising state governments, utilities and the natural gas industry on federal, regional and state air quality, renewable energy and climate change policies. Negotiated and drafted numerous airline use and lease agreements at large and medium hub airports addressing complicated rates and charges, gate accommodation and majority-in-interest issues. Worked with medium hub airport to develop creative solutions to address environmental risk in an airport fueling system lease. Successfully worked with a major utility and the Army Corps of Engineers to develop comprehensive approach to Section 106 consultation on linear utility projects. Developed and executed a comprehensive permitting, access and settlement agreement strategy for a major cleanup project in Gloucester Harbor. Negotiated a favorable settlement for a major airport in an FAA enforcement action over the use of airport revenue for marketing. Favorably resolved a Department of Homeland Security OIG compliance audit concerning in-line baggage system contract.